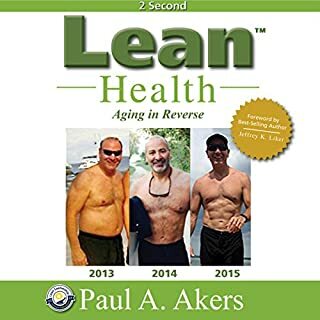 Paul translates sophisticated nutrition education into basic and common sense human language for all of us! What made the experience of listening to Disrupt You! the most enjoyable? Audio is clear and author (narrator) shows lots of interest and passion for the topic. What was one of the most memorable moments of Disrupt You!? The examples he used and how you can apply these. The case of McDonalds and the downloads from Sony. How Jay solved the $3 Million block. This is not just a book, but also a guide on how to overcome many years of paradigms and poor business decisions. 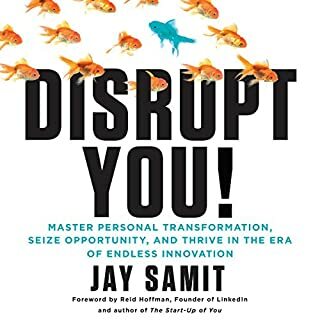 Disrupt you is truly disrupting the business book category in a way that brings something that looks impossible and unimaginable into regular life examples and anecdotes that you can put in place. Kudos to the Disrupt You team!